Beltone hearing aids are among the most advanced available. The company provides remote diagnostics with a smartphone connection and free service for the life of each hearing aid. Beltone has 1,500 locations across the U.S. and only fits customers with hearing aids if needed. For more than 77 years, Beltone has been providing hearing solutions for those suffering from hearing loss. Belton has more than 1,500 locations and provides remote diagnostics with a smartphone connection and free service for the life of each hearing aid. Over 48 million people in the U.S. suffer from hearing loss, which affects one-third of those over age 65 and two-thirds of individuals over 75 years of age. Despite those statistics, only 30 percent use hearing aids, often due to concerns about being sold more expensive hearing correction than necessary. Beltone guarantees associates will not sell hearing aids to anyone who doesn’t need them and provides a wide range of hearing aid styles. The company offers personal service nationwide with many free benefits after the sale. Beltone’s line of hearing devices includes all types of hearing aids to correct a wide range of hearing loss. After you get a free complete hearing exam at one of the company’s clinics, you get fitted with hearing aids if you meet a minimum hearing loss threshold to indicate you need them. All Beltone hearing aids featured below work with Remote Care, so you can have settings adjusted anywhere there’s a Wi-Fi or cell signal on a smartphone. These hearing aids feature the latest auditory technology and include Beltone’s 12-point lifetime service plan, covered in detail below. Beltone guarantees hearing aids for one year, and you will get fitted with new hearing aids at no cost if your hearing changes over two years. The Beltone Amaze hearing aid uses proprietary technology with speech filtering to amplify voices in noisy environments, background noise and feedback reduction and automatic volume control. Beltone Trust hearing aids offer custom fit options with fifth-generation 2.4 GHz wireless technology for identifying voices and canceling noise from all directions. These hearing aids feature automatic volume control and other enhancements with Ear to Ear Synchronization, CrossLink Directionality2 and Personal Sound ID. Beltone Boost Max hearing aids are for severe to profound hearing loss and have all the features of the Trust line with the company’s proprietary technology to create a natural hearing experience. Documented tests show Beltone Boost Max hearing aids provide up to 60 percent greater sound clarity and speech comprehension. Beltone offers four free mobile apps for iPhone or Android mobile devices customers can use to conveniently and discreetly control most Beltone hearing aids. HearMax: Works with Beltone Trust, Boost Max and Amaze hearing aids to provide timesaving Beltone Remote Care service and a locator to help you find misplaced hearing aids. If you’re having a problem adjusting your hearing aids, use the app to contact Remote Care, and a professional will analyze data from your devices then send an update to provide optimum settings to the hearing aids via the HearMax app. HearPlus: A hearing aid setting control app for many of Beltone’s older wireless-enabled models. SmartRemote: Works with Beltone hearing aids equipped with streaming audio capabilities to allow the wearer to control sound streamed from a TV, radio or another device to the hearing aids. Tinnitus Calmer: This mobile app provides sound therapy and exercises to help combat tinnitus, which causes chronic ringing in the ears for 20 percent of the population. Beltone’s hearing aid accessories allow users to stream sound from a variety of devices such as cellphones, TVs, computers and remote microphones directly to hearing aids for convenience and enhanced sound quality. Some of the wireless accessories do not transmit a signal through walls, so be sure you understand they work before you buy. MyPal is a small wireless microphone designed to extend the range of Beltone’s hearing aids with a range up to 80 feet. MyPal is useful for hearing conversations going on in other rooms. Direct TV Link 2 works with nearly any audio device, from computers to stereos, and as the name implies, televisions. This accessory streams sound directly to hearing aids so you can listen at your preferred volume without disturbing others. Direct Remote Control 2 lets you easily control streamed sound to your Beltone hearing aids, and change settings for each hearing aid individually. Direct Remote Control 2 is particularly useful for balancing the sound your hearing aids receive and making adjustments during conversations. Direct Phone Link 2 is a small remote device for streaming audio and amplifying phone calls by pairing with hearing aids via Beltone’s SmartRemote app on an iPhone or Android phone. Beltone does not publish prices on its website. The national average cost for one hearing aid runs about $2,300. We found consumer reviews mentioning a price for Beltone hearing aids ranging from $5,000 to $9,000 per pair, which includes free hearing aid servicing and hearing tests. Medicare does not cover hearing aids, but some insurance plans and other options help to make hearing aids affordable. Beltone is one of the most recognized names in hearing aids, so we found plenty of reviews online. The Better Business Bureau gives Beltone an “A+” rating with only five complaints over the past three years, with issues satisfactorily resolved on the BBB website. HearingTracker reviews give Beltone 3.75 stars out of 5, and there are 4 out of 5 stars on Beltone’s Facebook page with many glowing reviews. ConsumerAffairs readers give Beltone hearing aids 4.75 out of 5 stars. Common complaints are related to battery life or issues at individual locations. Beltone responded to most problems quickly. How long can I expect Beltone hearing aids to last? The average lifespan of Beltone hearing aids is about six years with proper care and maintenance. I was caught in the rain while wearing my Beltone hearing aids. How do I dry them out? Use a silica-based drying agent purchased from your hearing aid provider. In some cases, water may damage the units to a point where they will no longer work, so it’s best to carry an umbrella or hat if you expect rain. Can I try Beltone hearing aids before buying? Many Beltone locations offer in-office testing of different hearing aid models with various sound environments. The hearing aids come with a 30-day money back guarantee and exchange policy. Is it normal for my voice to sound different while wearing Beltone hearing aids? Yes, you will probably notice changes in the way your voice sounds to you because the hearing aids provide sound frequencies you may not have been able to hear for some time. 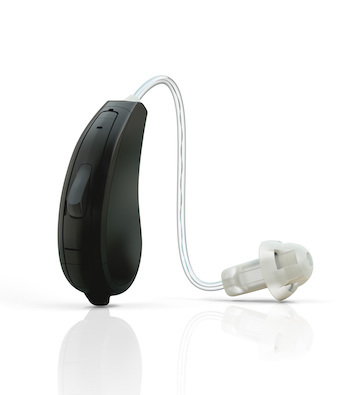 Where can I buy batteries for Beltone hearing aids? Buy hearing aid batteries at Beltone service centers, numerous retailers like Walmart or Target, and drugstores. Beltone hearing aids come in many models and styles to provide the hearing aid features you need. Their national service centers provide the best hearing aid fit for seniors and hearing professionals are available to answer any questions. Beltone’s free service for the life of the hearing aid is an excellent benefit, and the latest technology makes using Beltone hearing aids almost effortless.